Col. Nguyen Tomb — or “Toon” — is one of the names immortalized in military aviation, like Baron von Richthofen and Eddie Rickenbacker. I first encountered Tomb when I was 10 years old, playing Chuck Yeager’s Air Combat on my dad’s computer. In one mission, you fly against the Vietnamese ace, infamous for having scored 13 air-to-air kills. Tomb was the only Vietnamese pilot named in the game, and I was curious, like many others before and since, to learn more about this mysterious aviator. The top-scoring American pilots in Vietnam, by comparison, had only five kills each. On paper, the air war over Vietnam should have been a grossly one-sided contest. The U.S. Air Force and Navy, the strongest air arms in the world, opposed the jets of the Vietnam People’s Air Force, averaging 70 warplanes in the early years of the air war, and peaking at 200 near the end. It was far from one-sided. The Vietnamese received extensive technical assistance, training and replacement aircraft from Russia and China. They also drew upon decades of experience fighting materially stronger opponents. Vietnamese MiG fighters launched hit-and-run attacks on U.S. attack formations that flew on predictable schedules, inflicting heavy losses even on supersonic F-105 Thunderchief bombers. Ground-based radars guided Vietnamese pilots into perfect ambush positions. American aviators, in turn, had rules of engagement prohibiting them from firing missiles at unidentified aircraft or attacking enemy airfields. The Vietnamese ultimately lost more aircraft than they shot down in air-to-air combat, but they forced many air raids to abort mission and ditch their bombs. NSA signals intelligence units spying on Vietnamese radio communications appear to be responsible for Tomb’s rise to fame. An NSA report made public through the Freedom Of Information Act, tells us how it began. …the NSA could identify each North Vietnamese pilot by his own unique call sign suffix […] SIGINT analysts became familiar with many of the unseen North Vietnamese flyers and built case histories on individual pilots, their ranks, organizations, number of missions flown, even their combat records. This is how they discovered Tomb, “an airborne outlaw in the image of a Wild West gunslinger” and “the first SIGINT-confirmed enemy ace.” To clarify, an “ace” is a pilot who has shot down at least five enemy aircraft. A photo also circulated of a MiG-17 numbered 3020 with over a half-dozen stars on its nose — each star representing an American plane shot down. This could only be the fighter of the infamous Tomb himself. The MiG-17 “Fresco” evolved from the MiG-15 fighters flown extensively in the Korean War, featuring sharply swept back wings. It was a generation behind the F-4 Phantom, the top U.S. fighter of the time. While the F-4 flew faster than Mach 2, the MiG-17 could not quite reach Mach 1 in level flight. And unlike the MiG-21 fighters in Vietnamese service, the MiG-17 couldn’t carry air-to-air missiles, relying instead on a heavy 37-millimeter and two 23-millimeter cannons. Nor did the plane have hydraulic controls, making it sluggish to handle at high speeds. But despite these disadvantages, the MiG-17 was exceptionally maneuverable at slower speeds. Earlier in the conflict, the F-4 was plagued by its dependency on unreliable air-to-air missiles. If a MiG-17 closed into dogfighting range, it could easily out turn an F-4 and shoot it down — unless the Phantom pilot hit the throttle to disengage. Another photo that made an impression depicted a slender MiG-21 fighter, technologically a close match for the Phantom. It was numbered 4326 and had 13 victory stars under the canopy. This too was thought to be Tomb’s fighter, because who else could have scored so many kills? In 1972, the United States began Operation Linebacker, an intense aerial bombardment campaign against North Vietnam that lasted six months. On May 10, 11 North Vietnamese fighters and four F-4 Phantoms were shot down in a series of sharp engagements. It was proving a good day for Navy Lt. Randy “Duke” Cunningham, and his back-seat radio intercept officer Lt. Junior Grade William “Irish” Driscoll. Both were graduates of the Navy’s Top Gun school, which taught advanced air combat tactics — and they already had two kills to their names. As they flew their F-4J on a strike against the Hai Dong railyards, their formation came under attack by MiG-17s. Cunningham turned sharply toward one and shot it down with a Sidewinder missile. He then saw his wingman locked in a dogfight against eight MiG-17s. Several were on the tail of Cdr. Dwight Timm’s F-4. 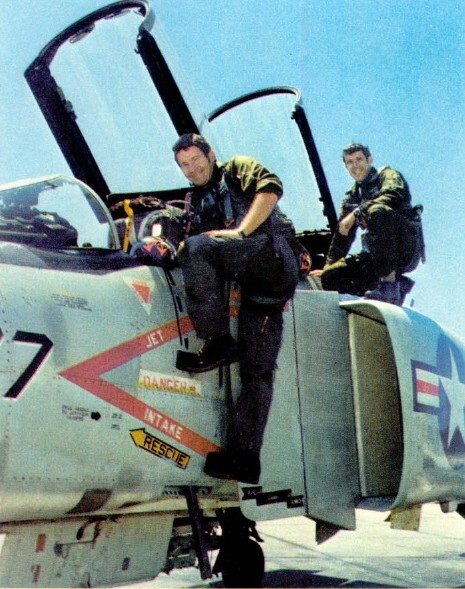 He got into firing position behind the 17s, but didn’t shoot because his heat-seeking Sidewinder missiles might have locked onto the hot twin engines of Timm’s Phantom. “Break!” he barked at Timm. Timm complied with a sharp turn, giving Cunningham a clear shot for his second kill of the day. The outnumbered F-4 pilots then disengaged, throttling up their engines to head for home. Cunningham suddenly noticed a lone MiG-17 heading straight toward him. He decided to meet its approach — a nearly fatal mistake as the MiG-17 spat cannon shells at him in a head on pass. Lacking a gun on his F-4, Cunningham swerved upwards. The MiG-17 peeled up in pursuit — rolling over onto the Phantom’s tail. With only a short distance between them, Cunningham could see the number 3020 on the MiG. He attempted to shake the nimble fighter with a rolling scissors maneuver, but the MiG pilot matched his Phantom’s every move. The two aircraft burned up their energy in a series of tight turns, slowing further and further until the heavier Phantom was close to stalling. 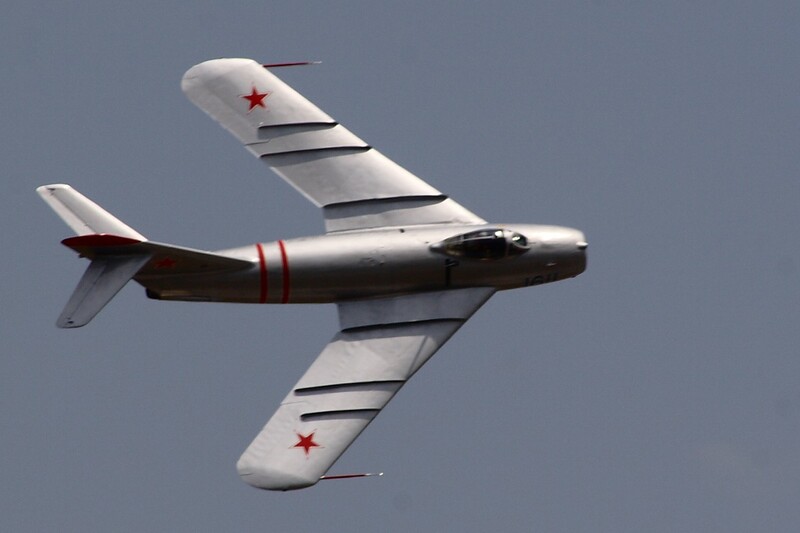 This kind of low-speed knife-fighting was the MiG-17’s strength. Driscoll inquired nervously whether Cunningham shouldn’t abandon the fight — but Cunningham refused to give up. Instead, he lit his afterburners, making the engine gulp fuel at a prodigious rate, and surged two miles ahead before turning around for another head on pass at the MiG, this time at an angle so the MiG couldn’t shoot back. It didn’t work — the MiG latched immediately back on his tail. So Cunningham disengaged and turned around a second time — but this time, as the MiG began to line up on his tail after the pass, he cut the throttle and hit the airbrakes. Denied thrust, the Phantom fell behind the MiG-17. But Cunningham’s fighter was too close for his missiles to lock onto the vulnerable MiG. The MiG pilot rolled into a steep dive toward the ground, the heat from which would soon mask him from heat-seeking missiles. As the MiG distanced itself from Cunningham, he fired a Sidewinder missile. It hit the MiG, which plummeted into the ground and exploded. There was no parachute in sight. Tomb had been defeated. Shortly afterwards, an SA-2 surface-to-air missile hit Cunningham’s Phantom. Nursing his flaming fighter towards the coast, Cunningham and Driscoll ejected just over the water’s edge and were rescued at sea. They had shot down three fighters in one day, and had become the first U.S. aces in Vietnam. Driscoll went on to work as an instructor at the Navy’s Top Gun school. Cunningham served 15 years as a Republican congressman for California before being jailed for corruption in 2005. As relations improved with Vietnam over the years, aviation historians began to inquire with Hanoi’s top pilots, seeking to learn more about the legendary Col. Tomb. None of the Vietnamese pilots had heard of Col. Tomb, and he was not in any of their records. Tomb and “Toon” are not even Vietnamese names. (Some argue the NSA may have misheard the names “Tuan” or “Tonh.”) Most Vietnamese aces flew MiG-21s, not the older MiG-17s, and didn’t switch plane types back and forth. 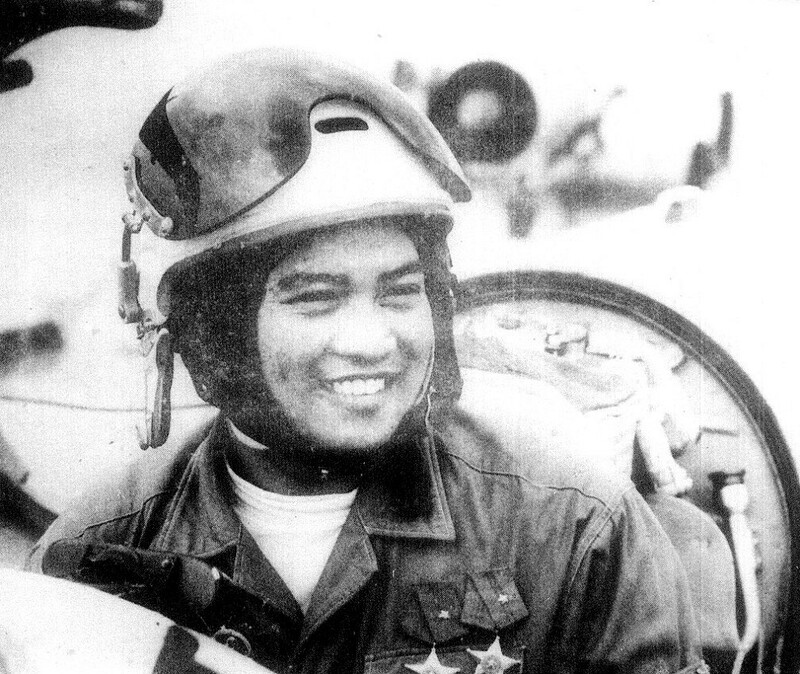 Logically, there doesn’t seem to be any reason the Vietnamese air force would cover up its highest scoring ace — such an individual would have been highly celebrated. And other pilots lost in action had been commemorated, not erased from history. Tomb wasn’t a legend. He was a myth. But the Vietnamese disavowal didn’t put an end to the legend. One theory was that Tomb was a Russian pilot. 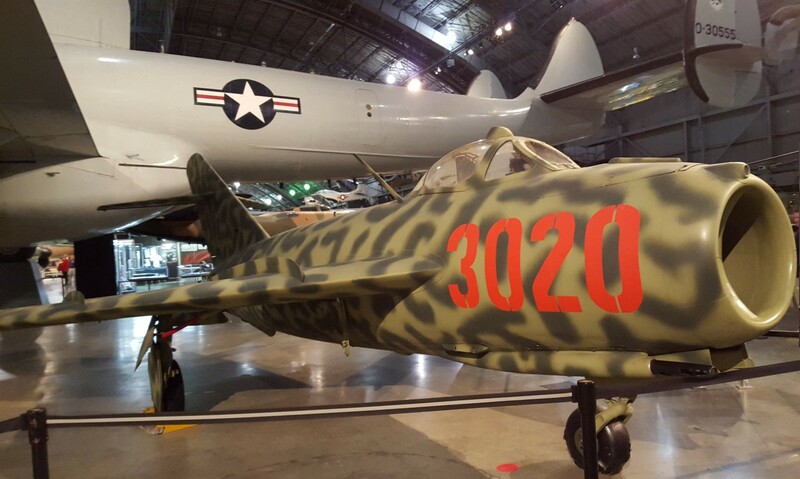 During the Korean War, Russian pilots had flown in Chinese and North Korean air force units. Thousands of Russian technical advisers assisted North Vietnamese forces during the Vietnam War. But post-war, no Russians have claimed to have flown in air-to-air combat in Vietnam. A U.S. pilot, Col. Jack Broughton, claimed in his memoir Thud Ridge that he had seen a Russian pilot in the cockpit of an opposing MiG-19 with “blonde hair and blue eyes.” It seems quite a feat of perception. There is one Russian credited with shooting down six American planes. But he was the commander of a surface-to-air missile battalion. Another theory is that Tomb was actually two pilots — Din Tonh (hence “Toon”), and Dang Ngoc Ngu. The latter scored more aerial victories, while the former had a reputation as a maverick prone to lone wolf attacks. Supposedly, Din Tonh would sneak into formation alongside American fighters, waiting to see how long they took to notice his presence. But both pilots flew MiG-21s, not MiG-17s, and neither were present for the air battle on May 10, 1972. Another theory advanced by aviation historian Tom Cooper, a War Is Boring contributor, is that SIGINT picked up the call sign of Le Thanh Dao, a Vietnamese ace with six kills to his name, who was known to be flying on that day. 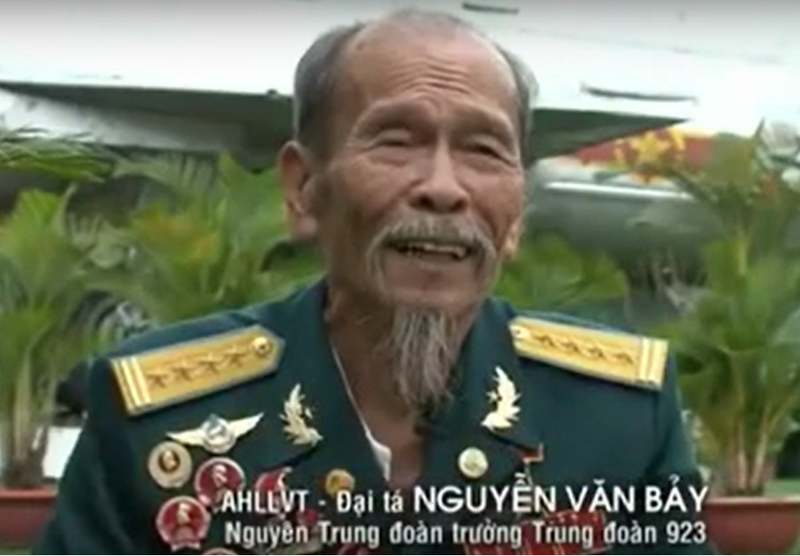 But Le Thanh Dao flew a MiG-21, and was not shot down that day. So who was Cunningham’s opponent? Some argue he was a senior officer of the 923rd Fighter Regiment with the authority to ignore orders to disengage. The Vietnamese air force claims he was a pilot named Nguyen Van Tho, and that he survived the loss of his plane — which doesn’t correspond to the explosion Cunningham witnessed. To invert a popular saying — the Americans didn’t need to invent Colonel Tomb, because he already existed. Nguyen Van Coc, Hanoi’s top-scoring ace, had nine air-to-air kills in his MiG-21. And the MiG-21 he flew? It was number 4326. The 13 stars tallied on his plane included the victories of other pilots who had flown it, as per Vietnamese air force custom. Nguyen Van Coc was 26 years old when he and a dozen other Vietnamese pilots trained in Russia in 1966 to operate the MiG-21 — the hottest ride in the Soviet inventory at the time. In his youth, his father and uncle were members of the Viet Minh and were killed by the French. Van Coc was shot down before scoring his first kill on Jan. 2, 1967 in Operation Bolo, a U.S. aerial ambush. He went on to destroy an F-105 in an attack out of the sun on April 30, and then scored eight more kills through December 1969 using heat-seeking R-3 Atoll missiles. Of nine victories, two were drones, and for the aircraft, six of the seven can be confirmed in U.S. records — making him the top-scoring pilot of the war no matter how you count it. Van Coc was then pulled out of frontline service to focus on training the next generation of Vietnamese pilots, who were heavily engaged in the air battles of 1972. His protégé, Nguyen Doc Soat, went on to score six victories. Another Vietnamese ace, Nguyen Van Bay, scored his seven kills flying the older, slower MiG-17. His victims included Korean war ace Maj. James Kasler, and two Navy F-8 Crusaders — much more agile aircraft than the F-4. All three of these Vietnamese aces survived the war. Van Coc retired as Chief Inspector of the Vietnamese air force in 2002, while Duc Soat ended his career as Deputy Chief of the Army in 2008. Van Bay now grows mangos on a farm outside Ho Chi Minh City — an account of his meeting with one of his former aerial opponents, Col. Ralph Wetterhahn, makes for fascinating reading. Unlike American pilots, most of whom returned home after a single tour of duty, many Vietnamese pilots served for most of the conflict. Because there were so many American planes and fewer Vietnamese fighters, the best pilots racked up more aerial victories. In all, there were 16 Vietnamese aces recognized in the war. Tomb is a fascinating case of a hero enshrined in legend by his opponents in the conflict. In the end, searching for the “real” Col. Tomb may be a wild MiG chase — but there were many Vietnamese pilots who lived up to his fearsome reputation. Correction: The original version of this article credited Nguyen Van Bay with an attack on the USS Highbee and Oklahoma in 1972. However, this attack was in fact performed by another Vietnamese pilot also named Nguyen Van Bay, who was later killed when his MiG was shot down on May 6, 1972.